As a little girl I loved being taken to the circus. For me it was a magical world where anything could happen, luckily my Father also loves the circus so he would always take me as soon as the circus arrived in Fulham. I'm sure my love of theatre, and subsequent career behind the scenes stems from those early visits to the circus. Though I can appreciate the technically accomplished shows of today, nothing beats the traditional tricks of the yesteryear travelling circus. I'd read about the old fashioned Giffords Circus that tours around Oxfordshire and Wiltshire during the Summer months, setting up on local village greens just as the circus once did in every town and village up and down the country. So when the husband asked me what I wanted to do on my birthday in August, I could think of nothing that I'd rather do more than introduce Matilda to the circus, and to share my fascination with it. From the moment you park on the green the magic begins, gypsy caravans surround the huge tent where the performers live. Stables are open for children to get a closer look at the horses. Tea and cake is served on beautiful specially designed Emma Bridgewater cups and plates, otherwise you can opt for the wood fired pizza which did smell rather enticing. After the show you can join the performers for a three course dinner in a special twinkly tent. Sadly this was fully booked on my birthday, next year. The show itself was great fun with some memorable comedic performances as well as a good dose of family friendly magic tricks, tight rope walking, fire eating, clowning and song. Matilda delighted in the high energy show, entranced by the anticipation of what surprise would come next. We, the adults, equally enjoyed every moment. We giggled, oohed and ahhed taking pleasure in the heart warming marvel of this circus. Go see it! 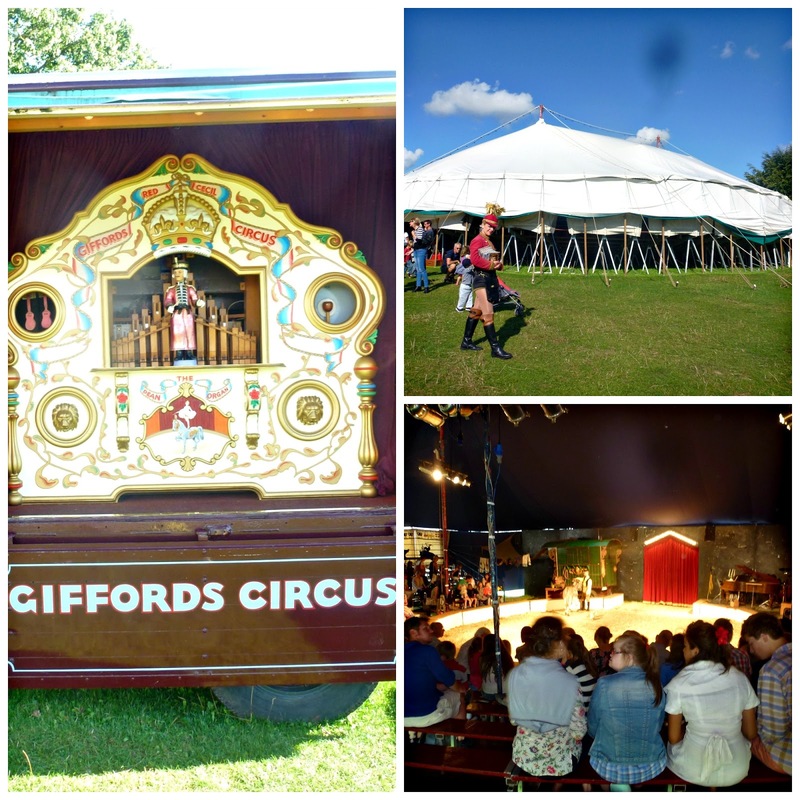 Currently in Marlborough they'll be rounding off their tour in the beautiful Cirencester from the 12th-22nd September. If you can't get there I have no doubt they'll be back next year, we're looking forward to it already.